San Jose, California – November 15, 2017. The JM Internet Group (https://www.jm-seo.org/), a leader in online SEO training, is proud to announce a major revision to its list of SEO Books in time for 2018. The newly revised format is friendly not only for Google’s featured snippet structure but also for human readers. To view the list of SEO Books for 2018 visit https://www.jm-seo.org/2015/05/best-seo-books/. It should be noted that the list is produced as part of the forthcoming 2018 edition of the company’s own SEO Fitness Workbook which can be viewed at http://amzn.to/2gD8PBB. Interested persons can view excerpts from the book, see the table of contents, and learn how and why the SEO book has garnered so many positive reviews on Amazon. It should be noted that the book includes a zero copy PDF plus access to the SEO dashboard and SEO toolbook, which provide hundreds of complementary tools online for today’s digital marketer. Finally, one of the unusual features of the Workbook is its openness to identifying other resources such as SEO tutorials (https://www.jm-seo.org/2017/11/seo-tutorials/) and other books on the topic. 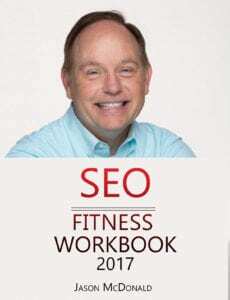 The SEO Fitness Workbook is a consistent bestseller on Amazon in the category of digital marketing, and for good reason. First, it grows out of Jason McDonald’s popular courses at Stanford Continuing Studies, including his “Marketing without Money” taught on campus and his new online training courses in SEO. Second, the book has over five hundred reviews on Amazon, far more than the nearest competitor and many of which are five star. Third, the book includes a companion SEO Toolbook free of zero cost tools, worksheets for small business owners and marketers, and – new for 2018 – quizzes and action item lists. In this way, the book is a practical “how to” manual of digital advertising, used by many business owners to climb to the top of Google, Yahoo, and Bing. As indicated, one of the innovative features of the book is its publicity of competitive books and tutorials. While many authors are afraid to point their readers towards more resources, the SEO Fitness Workbook is unique in that it includes “jump links” to numerous resources on the Web, including books and tutorials. For these reasons, it is no wonder that the book has garnered its status as the most popular book on Amazon in the category as measured by reviews. The JM Internet Group provides SEO, Social Media Marketing, and Google AdWords training and courses for busy marketers and businesspeople. Online search engine optimization training helps explain keywords, page tags, link building strategies and other techniques needed to climb to the top of search engine rankings for Google, Yahoo, and Bing. The teaching methodology is hands on, with live examples and discussions, taught from the convenience of each student’s computer. It should be noted that the company maintains important book lists such as its list of the best SEO books at https://www.jm-seo.org/2015/05/best-seo-books/ and the best social media marketing books at https://www.jm-seo.org/2017/01/social-media-marketing-books-2017-list-best-books-social-media-marketers/. This entry was posted in Blog, Press Releases and tagged Search Engine Optimization, SEO, SEO Books on November 15, 2017 by Jason McDonald. Jason McDonald is a top-rated San Francisco SEO Consultant. His consulting services include search engine optimization consulting, social media marketing consulting, and Google AdWords consulting. Jason's motto as a consultant is that he doesn't do SEO 'for you' but rather he does SEO 'with you.' That goes as well for his social media marketing consultant activities and Google AdWords consultant services. 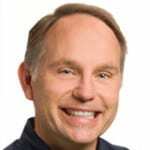 Besides serving clients in the San Francisco Bay Area, Jason consults with clients in Silicon Valley (San Jose), Oakland and other cities throughout the Bay Area. Beyond the Bay Area, Jason is available as an SEO consultant, Social Media Consultant, and as an expert witness in litigation involving social media marketing, search engine optimization and pay-per-click advertising.